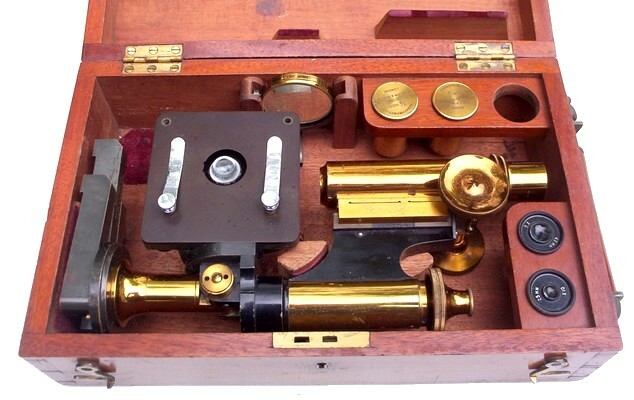 Messrs. Watson & Sons have recently introduced a model they call their High-power Portable Microscope, which meets the special want of those who require an exceptionally strong instrument and one that can be employed when using high powers for really critical work. 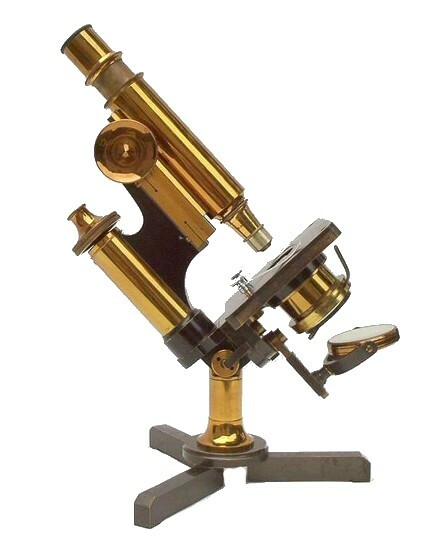 This is an ideal microscope, the makers say, for those who have to travel abroad, up-country perhaps, where travelling is heavy and the baggage may receive some rough usage, sucli as would imperil the safety of an instrument unless specially constructed for the purpose. 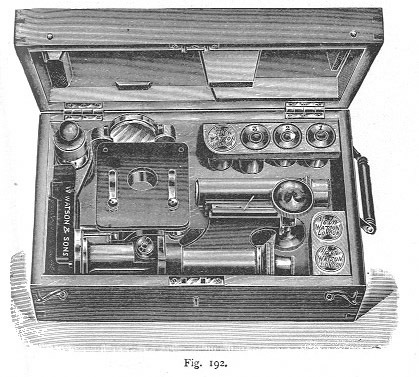 It is shown set up for use in Fig. 191 and closed in 192, the case measuring only 11 3/4 x 7 2/8 x4 1/8 in., and the total weight not exceeding 8 Ib. 13 oz. 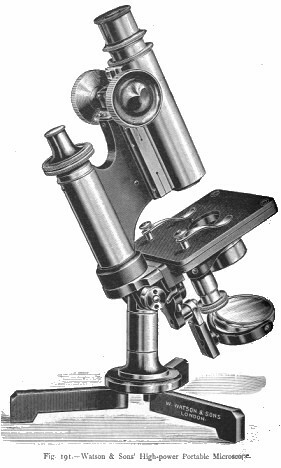 Lightness and rigidity such as to obtain a really useful and efficient instrument seem to have been the aim of the makers. The stage is of ebonite and measures 3 1/2 in. square. Substage condenser, with means of adjustment.